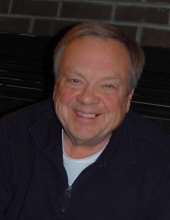 Mark Vernon Eriksen, a resident of Naperville since 1960, passed away on March 16, 2019. Mark grew up in the West Highlands and attended Elmwood Elementary, Lincoln Junior High, and graduated from Naperville Central High School in 1971. Mark played the french horn for all four years of high school. He had many fond memories of working at Babe’s Standard during high school and while he attended College of DuPage. He received a Bachelor’s of Science in Law Enforcement Administration from WIU in 1975. He launched a successful career in the Insurance industry beginning in 1975. He worked for Republic Insurance from 1975 to 1995 where he rose to the position of midwest district claims manager, United Fire and Casualty from 1996 to 1998 as a claim supervisor, followed by EMC Insurance from 1998 until his death as a property claim supervisor. Mark had extensive knowledge in the industry handling residential and commercial property claims. He was a mentor and supervisor to staff adjusters and independent adjusters. Mark took great pride in his work. When settling claims, he was an expert at detecting fraudulent claims and was conscientious about protecting the company’s financial interest. He was the past president (2014) and current member of the Adjuster’s Association of Chicago. Mark had a passion for riding motorcycles that he named Baby, Big Boy, The New One, and The Green Machine. Sometimes he would ride them all on the same day. He also enjoyed golfing, exercising, and spending time with his grandson, Brian. Mark is survived by his wife, Nora Ollman; his two children, Anne-Marie Staffeldt and Neil Eriksen, and stepchildren, Bayley Ollman and Jason Ollman; his grandson, Brian Staffeldt; his mother, Ruth Eriksen; sisters, Amy Jelinek and Donna Achuff; his aunt, Mary Anne Panosh, and uncle, Richard Panosh, and numerous nieces and nephews. He was preceded in death by his father, Vernon Henry Eriksen. To send flowers or a remembrance gift to the family of Mark V. Eriksen, please visit our Tribute Store. "Email Address" would like to share the life celebration of Mark V. Eriksen. Click on the "link" to go to share a favorite memory or leave a condolence message for the family.